One last Hoorah of the summer… We had Hard Summer last weekend, and this weekend is also Outside Lands, but being a relaxing but still busy time, if you don’t get all of your plans together far in advance it’s easy to get left out of the best summer experience and that is music + sun. 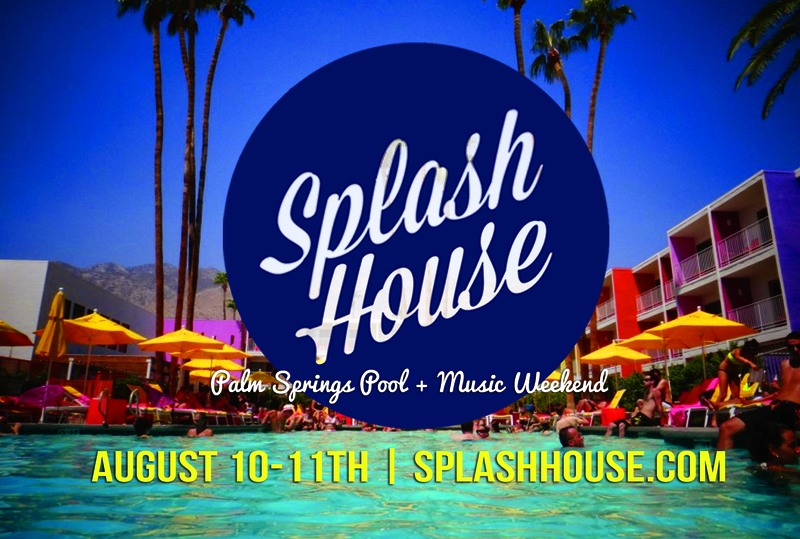 Before you head back into fall, enjoy one last weekend away, one that you didn’t have to make set plans for six months out- Splash House 2013 in Palm Springs. I’m grabbing some girlfriends to make our way out this weekend to enjoy some sun, good music and a little down time. It’s also nice knowing we will be able to enjoy ourselves at the location without dealing with driving, parking, or sitting out with no where to freshen up or wind down each day. 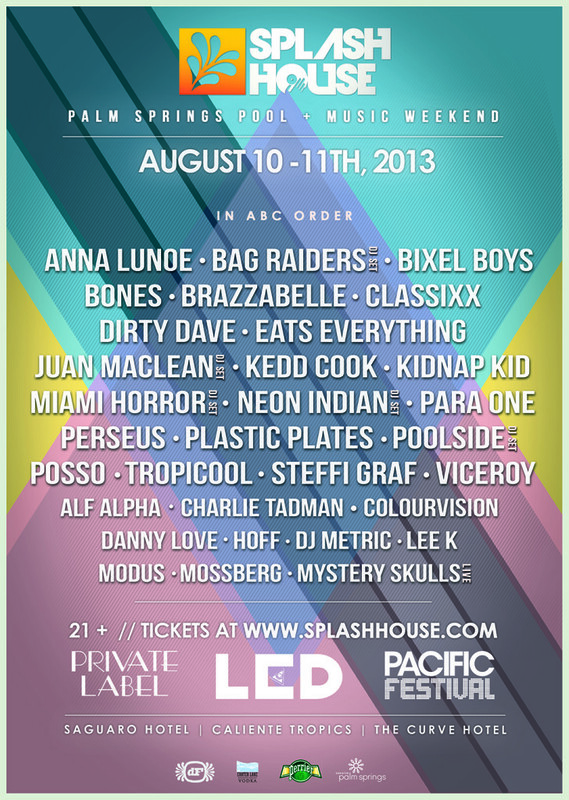 Splash House 2013 has LED, Private Label and Pacific Festival all teaming up for the 3 location poolside music event. So essentially Splash House will go all of Saturday and Sunday where the event features three simultaneous pool parties. There will be shuttles going from one pool to another, so you can catch just about every DJ on your hit list. Although he is smaller I am DYING to hear Viceroy live, for once not through Soundcloud. I’m also pretty pumped about Neon Indian, Anna Lunoe, Classixx, Kidnap Kid and Para One. The DJ’s have an indie feel which I like for Palm Springs, I mean who doesn’t just want to get away for the weekend when possible? So come hang in Palm Springs this weekend, they have General Admission tickets for $99 for both Saturday and Sunday or $55 each day. Also staying at The Saguaro for Friday and Saturday night WITH a wristband included is about $300. All booking can be made HERE. Splash House : Palm Springs Pool & Music Weekend from SplashHouse on Vimeo.